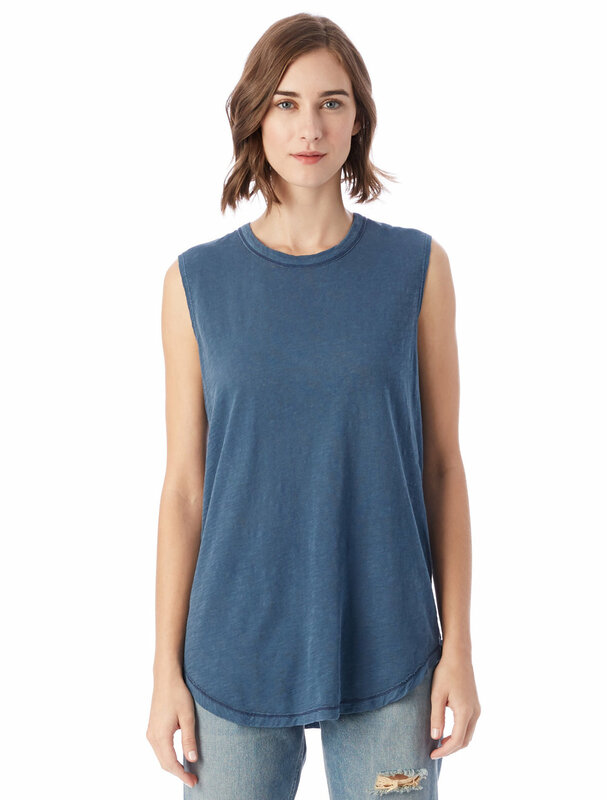 This muscle style tank is inspired by a D.I.Y cut up men's tee, but made specifically for women. We love the inside out details on the stitching of this vintage inspired tee. 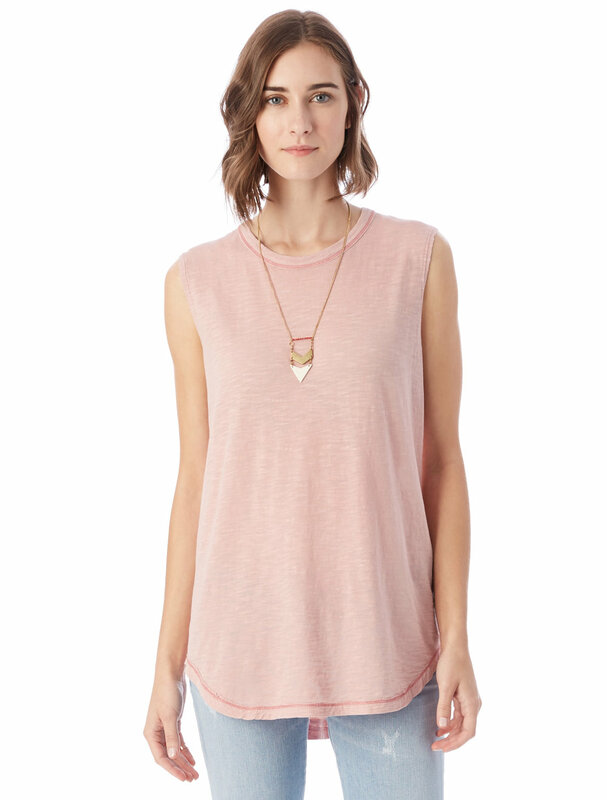 Tip: Alternative Apparel intentionally has inconsistencies in the stitching to give is a vintage handmade feel.